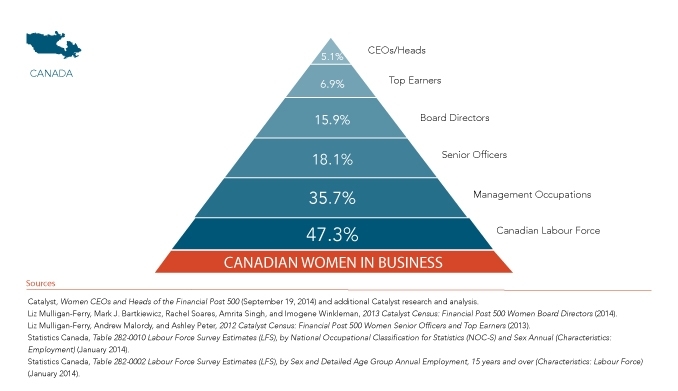 Companies listed on the TSX and other Canadian stock exchanges, will need to report on gender diversity as soon as 2015. New rules have been published that apply to company reports covering fiscal year 2014 under National Instrument NI58-101. These require disclosure of the number of women not only on the board of directors but also in executive officer positions. Furthermore, companies are required to provide disclosures on policies regarding the representation of women on the board and in senior management, and any associated targets. Where no policy or target exists, the company must explain their absence. Read more about the requirements in the document describing the amendments NI 58-101.